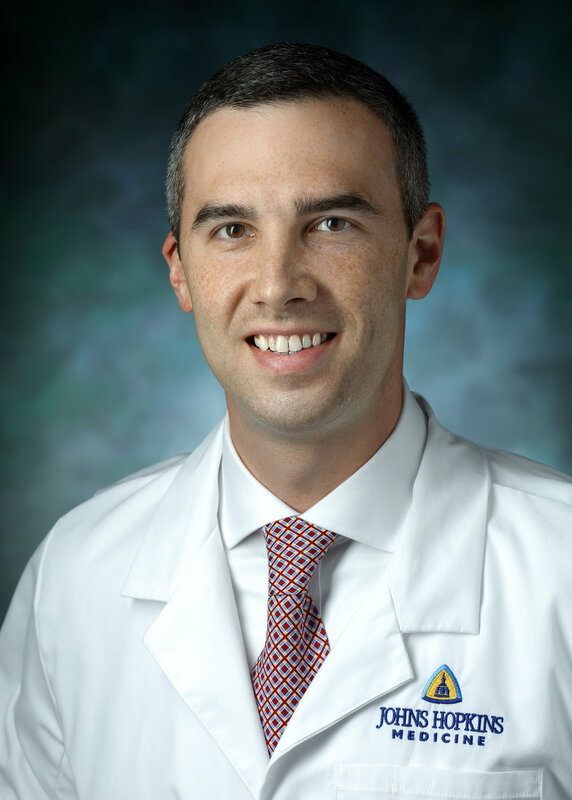 Dr. Christian A. Merlo is an associate professor of medicine at the Johns Hopkins University School of Medicine. His areas of expertise include cystic fibrosis, lung transplants and pulmonary and critical care medicine. Dr. Merlo holds a joint appointment in epidemiology at the Johns Hopkins Bloomberg School of Public Health. Dr. Merlo attended the College of the Holy Cross and completed medical school and residency training in internal medicine at Georgetown University. He completed both clinical and research fellowships in pulmonary and critical care medicine at Johns Hopkins, and earned his M.P.H. at the Bloomberg School of Public Health. His research interests include outcomes in lung transplantation and cystic fibrosis, HIV-related pulmonary disease, and outcomes in Osler Weber Rendu. Dr. Merlo has contributed numerous scientific papers and book chapters related to cystic fibrosis and lung transplantation, and his awards include the Harry Shwachman Clinical Investigator Award from the Cystic Fibrosis Foundation. Dr. Mark Jennings is an instructor of medicine at the Johns Hopkins University School of Medicine. His areas of clinical expertise include pulmonary and critical care medicine. Dr. Jennings completed his undergraduate work at the University of Notre Dame and earned his medical degree at Georgetown University. He completed a combined internal medicine and pediatrics residency at Georgetown, including a year as chief resident, prior to coming to Johns Hopkins for fellowship training in pulmonary and critical care medicine. He earned a Master of Health Science at the Johns Hopkins Bloomberg School of Public Health. His research interests include bacterial infection in cystic fibrosis. Dr. Jennings is a faculty member in the Adult Cystic Fibrosis Program at the Johns Hopkins Cystic Fibrosis Center. He has been recognized by the Cystic Fibrosis Foundation with a Harry Shwachman Clinical Investigator Award. Karen von Berg received a Bachelor of Science in Physical Therapy from Northeastern University and a Doctorate in Physical Therapy from Utica College. She has worked with pediatric and adult patients with cystic fibrosis at The Johns Hopkins Hospital for more than 17 years. Dr. von Berg developed the outpatient physical therapy (PT) program at Johns Hopkins CF Center and enjoys mentoring PTs from across the county to help optimize their role on the CF care team. Increasing awareness of the need for physical therapy in the care of patients with CF is of special interest to Dr. von Berg; she has presented at national and international conferences and has provided university lectures and continuing education courses on the role of physical therapy in CF care. She has contributed to two textbooks on the topic of CF and has co-conducted research on various aspects of exercise and CF.